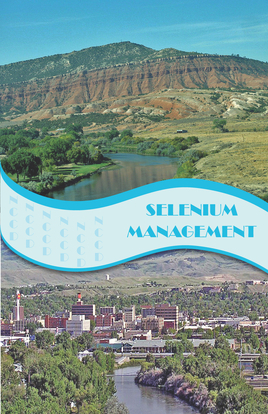 NCCD, with the help of a Wyoming Department of Environmental Quality Grant and a Wyoming Department of Agriculture Grant, have just published a "Selenium Management" Booklet. To download a copy, CLICK HERE. If you would like a hard copy, please contact us and we will mail you one! 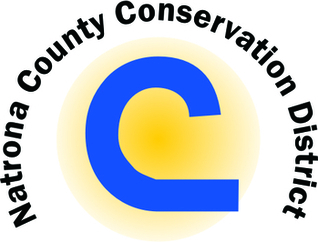 Natrona County Conservation District's water quality program revolves around Wyoming Department of Environmental Quality's 2014 Water Quality Assessment and Impaired Waters 303(d) List. This list is required to be submitted to the US Environmental Protection Agency every other year under the Clean Water Act. As a result of a water quality assessment of surface water throughout the state, in 1998 the Wyoming Department of Environmental Quality (WDEQ) placed the North Platte River on its list of impaired waterways due to high concentrations of selenium. 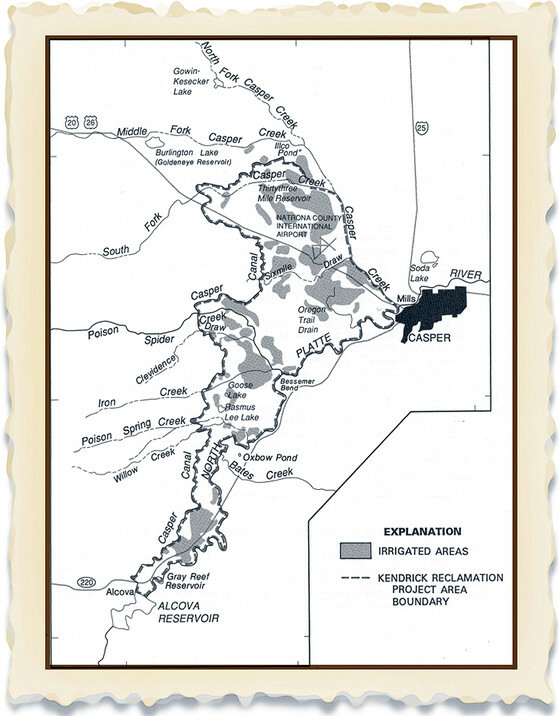 Subsequently, in 2000 several local tributaries of the North Platte were also placed on the impaired waterways list due to high concentrations of selenium: Casper Creek, Poison Spider Creek, Poison Spring Creek, Oregon Trail Drain, Goose Lake, Rasmus Lee Lake, Illco Pond, and Thirty-three Mile Reservoir. For a reduced version of DEQ's 2012 Water Quality Assessment and Impaired Waters List 303(d) Report highlighting the Middle North Platte River Sub-Watershed, click here. Why do we care about Selenium? Selenium is a naturally occurring element. In Wyoming, and throughout the West, the geological occurrence of selenium is widespread, found naturally in volcanic tuff, coal deposits, and marine shale. While it is an important nutritional supplement, which we usually receive in our normal diet, higher intake concentrations can cause health problems in humans, wildlife, aquatic life, and agriculture products. The Kendrick Watershed Plan is a 10-year initiative of the Natrona County Conservation District (NCCD), and was developed to address and reduce these high concentrations of selenium in surface water runoff and ground water migration in the Kendrick watershed. Plan implementation, funded in part by a WDEQ 319 Grant, is a long-term collaborative by those who have influence or guardianship of surface water runoff areas and discharge locations in the Kendrick watershed, such as: Natrona County Conservation District (NCCD), Casper Alcova Irrigation District (CAID), Natural Resources Conservation Services (NRCS), landowners, sportsmen and environmental groups. In early 2001, NCCD initiated a comprehensive sampling and analysis program in the Kendrick watershed and identified that the concentrations and movement of selenium was directly related to irrigation water conveyance systems and application practices used in the area. Thanks to a grant from Wyoming Department of Agriculture, this sampling and analysis program continues on a monthly basis. NCCD began implementing the Kendrick Watershed Plan in mid-2008, in cooperation with CAID, NRCS, and local landowners in the watershed, to establish more efficient and effective irrigation water delivery. 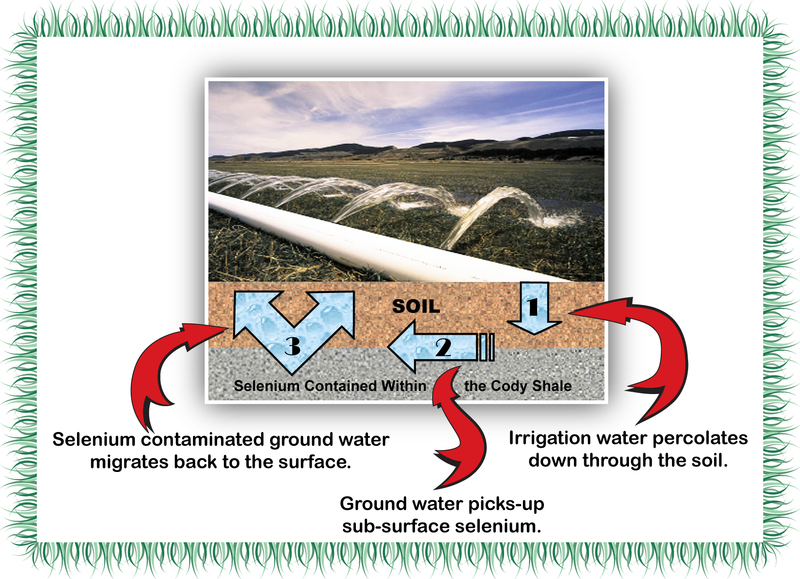 NCCD investigated and field tested alternative irrigation water delivery systems to reduce selenium migration. 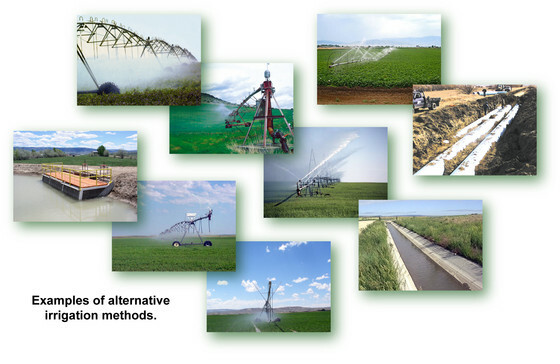 Existing scientific studies and local field demonstrations indicated that certain irrigation practices implemented as alternatives to the standard furrow (flood) irrigation, decreased selenium migration through the soil and to runoff drainages and groundwater. Several landowners volunteered to employ these new irrigation methods and participated in ongoing water sampling to assess the effectiveness of the alternative methods. NCCD's sampling data is analyzed yearly and compared to previous data from the same sample sites to identify trends and changes in concentrations of selenium over the duration of the Middle North Platte River subwatershed sampling program. CAID has replaced two sub-lateral open canals with underground pipeline and lined numerous other canals. Two alternative irrigation methods were tested and monitored: Center Pivot and Linear Move Side Roll systems, similar to existing sprinkler irrigation systems. 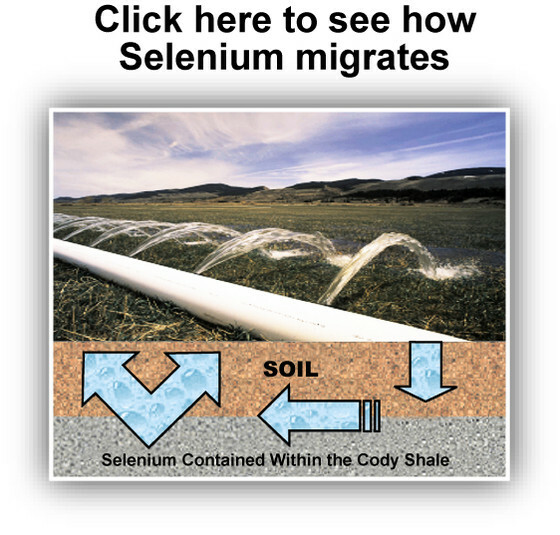 These delivery systems were determined to be the most cost effective and efficient irrigation methods for landowners, while reducing surface runoff to inhibit selenium migration. These methods also reduce water usage, thus conserving a valuable resource. Nearly 9,000 acres of farm land has been reclaimed for alfalfa production through the transition from furrow irrigation to alternative irrigation methods.